Sam has been home from Brandon for few weeks now and things seem to be on a more even keel. We can see he is working hard to not snap all the time but still has a few moments. He has also decided to start reducing his meds because he is tired of feeling like crap and so out of it all the time. We spoke with him about it and made it clear to him that there might be the possibility of seizures, the repercussions of seizures (not going for his learners or driving our equipment, possible no summer camp) and he said he understood but was still going to back off the val proic acid. He is now down to 1 – 250mg a day and we also learned he had stopped ALL morning meds. His tremors are not really subsiding but his energy levels have very noticably increased! SO much so that while we were camping he was throwing the baseball or football a few times a day for an hour or two! He has been out walking every morning or on the bike or riding the horses. He is starting to look like and act like our old Sammi. We should be seeing Dr. A in July or Aug and we will share all this with him then. Our hopes are to go a more holistic approach for Sam to not only the meds (possibly see if there is a natural med for him if needed) but with this mental state too. He needs to learn how to deal with stress and issues BEFORE they arise into such a place that is will induce seizures. And I am happy to report that Sam is totally on board with this all! The 30 or so lbs he gained over the winter really have made a difference to to his overall physical look too. He looks better but is just out of shape, so he is working hard to get back into the swing of working out and exercise so he is in shape. We are also still waiting to hear aboaut the seizure dog, which will be a big help if Sam can get his meds reduced. Then he will have the dog to help with his recognition of rising seizure possibilities. We are waiting on the next step which is the home assessment. The bracelet campaign was AMAZING!!! SO far I think over $700.00 was raised but I will be going out to the businesses and picking up all the donation boxes this week and will have a grand tally later. 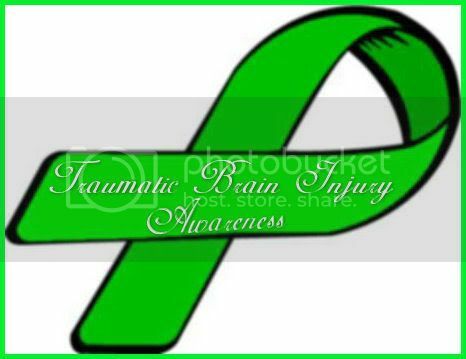 Dennis and I think that next year we will buy the bracelets again but the money we raise we will keep to our TBI group and they can decide where and how to spend the money to help spread awareness. We have really struggled with the MBIA this last while. There have been quite a few instances where I seriously have regretted having the donations given to them — but I did say I would so I will honour it but not again. LIVE and LEARN! Praying that you get that dog. It would make a huge difference. Good to hear how much you guys raised….sorry to hear that you have had issues with the MBIA. I think its a great idea to do the next run with your own group. I would like some bracelets for sure next time, I will try to get some donations gathered. I'm still wearing my bracelet. Love You guys.